I've always believed that politics are about the art of the possible. As adults in a free country, we have little choice other than to face up to difficult challenges, choosing among wildly imperfect options with no guarantees of success. Anyone talking about simple and obvious right answers to such hard questions has either never held a position of leadership and responsibility, or they're conning you. For those of you who know me it will come as no surprise that, as Will Rogers once quipped, I belong to no organized political party - I am a Democrat. As a matter of policy, I believe that a healthy environment, clean food and water, decent medical care, and a roof over one's head, can and should be reasonably considered basic human rights. I'd prefer to see a kinder, gentler approach in the foreign policy arena. And I'm in favor of giving a voice to the less powerful. Unfortunately, my candidate left something to be desired in many of these areas, and I can't say that I was completely surprised when she lost in an election cycle in which great numbers of my fellow citizens agreed that a departure from the status quo was in order. This was not a hard question. Regardless of my personal political beliefs, we would absolutely serve him, I responded. This is because my core values, and those of Texas French Bread, are grounded in hospitality as a spiritual discipline. Discipline is hard - that's why they call it discipline. True hospitality requires an overriding commitment to inclusiveness and community, and a fiduciary duty of care, despite any personal feelings you might have to the contrary. 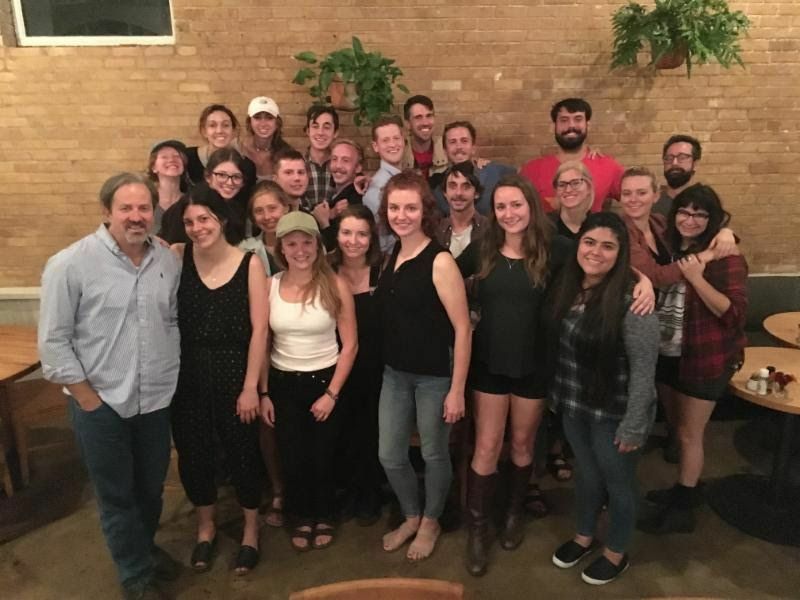 If you come to Texas French Bread and eat our food, pay your bill, and attend to the basic niceties of human engagement, you help us to thrive. In return, you get our love and our respectful attendance to your needs. This is true for everyone, regardless of whether we happen to agree about politics. That's how it works. We take people as we find them when they come in TFB. We give them the love. We provide sandwiches, coffee, or a glass of wine. We do this with generosity, checking the attitude at the door. In return, our customers give us their energy the form of money. On a good day, we get a little friendly positivity, validation, and a sense of shared community as a bonus. Practicing true hospitality forecloses the luxury of judging others, claiming special insight into the truth, or drawing toxic lines in the tribal sand just because we might be afraid or uncomfortable. True hospitality is a commitment that whatever else may be going on in the world, people are always more important than politics and religion. Everyone is welcome at Texas French Bread. Whether you need a job, a healthy meal, or a cappuccino - your gender, your race, your ethnicity, your sexual preference, your religious beliefs, and yes, your politics, are all acceptable and welcome under our roof. The only requirement to be part of our community is that you show others this same regard.